Lecturers from the School of the Arts have been providing informative short introductions to the public of films being shown at the Errol Flynn Film Theatre. On 6th November, Senior Lecturer in Film and Screen Studies, Dr David Simmons introduced British Horror classic, The Wicker Man (1973). 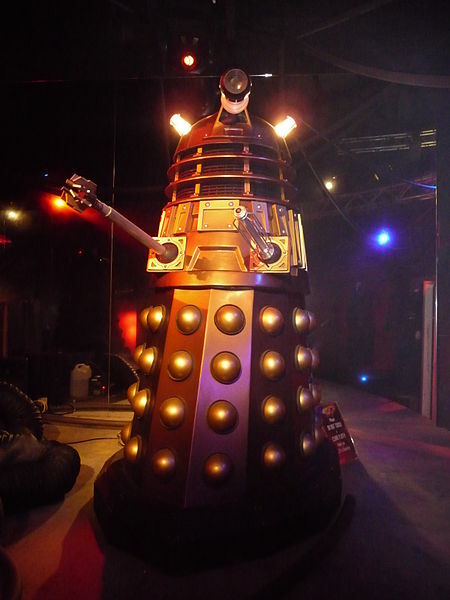 On 26 November, Senior Lecturer in Journalism, Hilary Scott gave a pre-screening talk for the Wiki-leaks inspired The Fifth Estate (2013) and on 28 November a Cult Film Club was launched with a showing of Dr Who and the Daleks (1965). The next pre-screening talk will be given by Dr Lorna Jowett on Wednesday 4th December at 6pm. It will precede the film theatre’s showing of Gravity (2013), Alfonso Cuaron’s sci-fi epic starring George Clooney and Sandra Bullock. Posted on November 29, 2013, in Events, School of the Arts. Bookmark the permalink. Leave a comment.